Just when you think you have it all figured out, along come improved tools and faster spindles that challenge the arithmetic of speed and create new norms. For example, several manufacturers now offer spindles that can run at almost twice the high-end speed to which we’ve grown accustomed. Late last year, the German manufacturer Precision Drive Systems introduced a new spindle that runs at 40,000 rpm instead of the industry standard 24,000 rpm. While PDS wasn’t the first manufacturer to do that, the CNC platform builder AXYZ International has called this “the next step in high-speed machining processes.” The spindle, named XLC70, is a quick-release, 3-hp unit that is designed to maintain a high-quality edge finish while ramping revolutions (not necessarily production) by 67 percent, according to the companies. 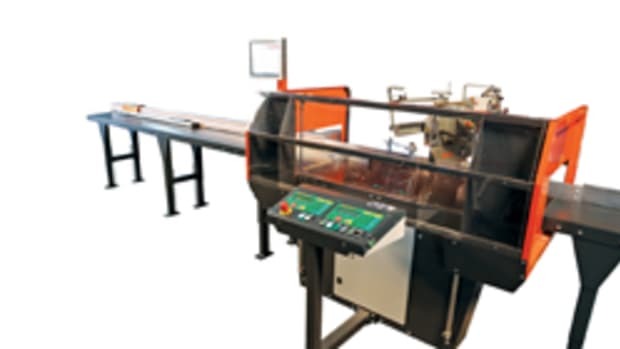 But cutting speed might not be the only benefit here: the quality of many cuts apparently gets a little better, too, especially for sign shops and furniture makers who mill plastics, acrylics and non-ferrous metals. What’s especially nice about the XLC70 and several other models is that it doesn’t need to be water-cooled. 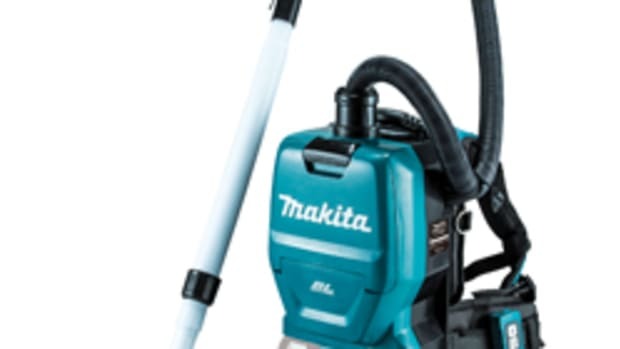 With an S1 rating from IEC it can run full-out, all day long, using compressed air to cool. Customers can specify PDS’s XLC70 spindle on all of AXYZ’s Pacer and Trident series machines, with or without automatic tool change. In addition, the spindle is available as a retrofit for existing machines, subject to specification. Speed is ramping up everywhere. There are, for example, quite a few 40,000-rpm spindles in the Colombo USA catalog (www.colombospindles.com), many of which are air-cooled (such as the RC 73 2- and 3-hp automatic change models). Colombo, a division of Milan, Italy’s Elettromeccanica Giordano Colombo, also offers a collet-type smaller spindle (RC55) that tops out at 40,000 rpm and is also cooled with compressed air. Whether or not you should make the jump to faster spindles requires a great deal of consideration and probably some long conversations with your CNC rep. Some of the questions might include asking what faster revolution could mean to both your existing tooling and the quality of parts. One great place to hold such a meeting would be at IWF in Atlanta (Aug. 24-27) where a woodshop owner or manager will be able to meet almost all the major manufacturers and solicit informed opinions on the trend toward higher speeds. The bottom line is that faster spindles probably mean shorter production times, but there could be some downside. 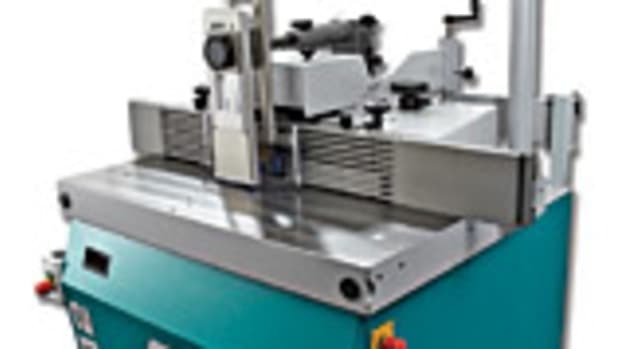 Spindle speed (measured in revolutions per minute, or rpm, and also widely referred to as “cutting speed”) is the most important factor when figuring out how long a cutter is going to maintain its edge. If the revolutions are too high for the tooling metallurgy and mass, then heat builds up too quickly and a fine edge becomes brittle and dulls quickly. Switching up to a spindle that almost doubles the speed will almost definitely mean that something else has to change. Either the tooling needs to be upgraded (more or fewer flutes, a different carbide, for example) or the depth of cut needs to be reduced or perhaps the feed rate (the speed at which the spindle is moving across the workpiece) needs to slow down or speed up. All of these variables can be part of conversations held with machine manufacturers at a trade show. They are also issues that can be discussed in online forums or with other shop owners/managers who have already made the move. 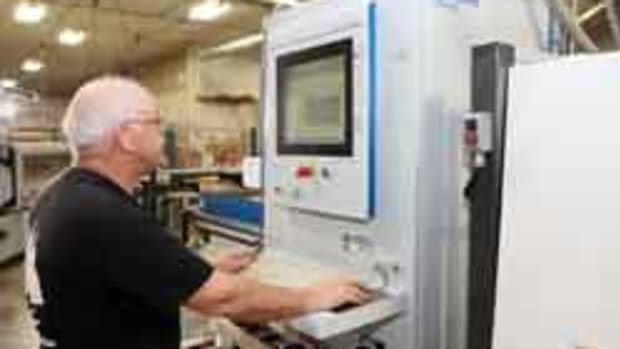 Most spindle manufacturers can provide the names of customers who are willing to take your call and help answer some questions. The biggest problem is that there are no pat answers because custom woodshops are subject to so many variables. 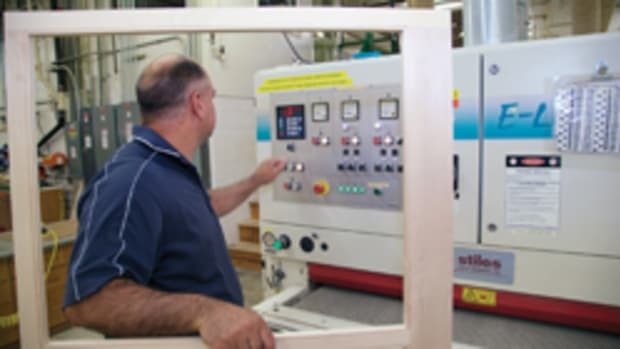 In some markets, the profiles selected by designers are slim and trim, while in others a router bit might be asked to mill a very complex decorative molding or edge. 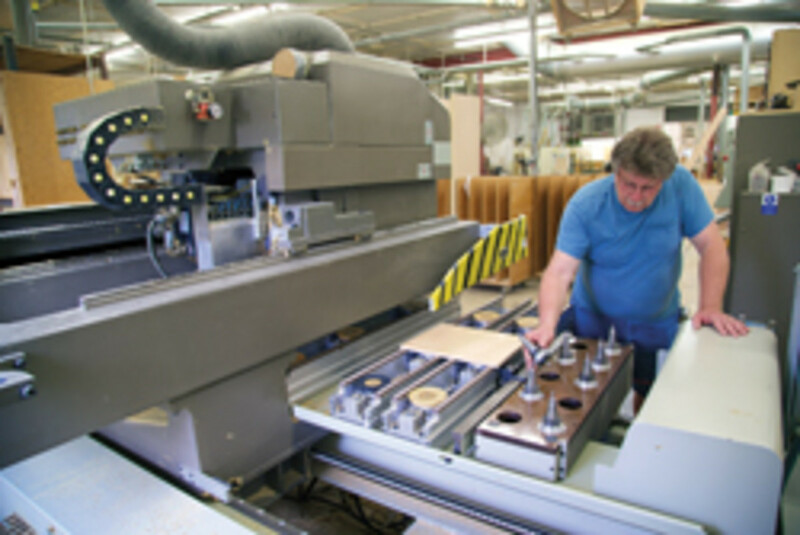 Some shops work almost exclusively in MDF, while others are asking their tooling and spindles to handle a dozen different hardwoods. So it’s difficult to say whether faster spindles are a sensible decision for any specific shop. Feed rate is a significant factor in maintaining an edge and one needs to figure out the impact of a faster spindle on that. The biggest question in production work is deciding just how fast the spindle can move without challenging the bit so much that it either overheats or bogs down. Too much haste usually ends up either breaking a tool or causing chipping — and that means reworking parts or shutting down to set up again. Too much stress on the spindle motor can be expensive, too, especially over time. And it’s not just speed: feeding too slowly with a faster spindle is a potential problem, too. A lack of speed not only causes jobs to back up in the shop, but also makes the tool burn the wood, especially on curves and corners, because it’s rubbing in one spot too long and building up excessive heat. And the chips get larger, too. In fact, moving too slowly (whether it’s spindle speed or feed rate) can sometimes be tougher on tooling, spindles and motors than moving too fast. There’s a window where the right speed, feed, tooling and materials all sing the same song. It’s not a very wide window and it’s also not an exact formula, but more of a narrow range. A lot of factors are at play here. For example, the size of the profile is key: larger diameter bits require slower speeds, so a shop milling a lot of decorative edges might want to consider how much of an advantage a high-speed spindle brings to the table. On the other hand, a shop working in softer, less-resinous materials and doing something as low impact as engraving might find significant improvement in a faster spindle. The power of the spindle is also a consideration. With enough power, the feed rate becomes a little less critical. 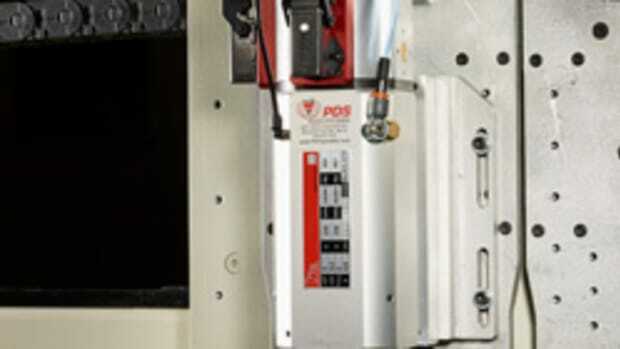 For example, PDS offers the XLerator spindle in speeds up to 40,000 rpm and with power up to 56 hp. That kind of muscle is, of course, working in a completely automated process where tolerances are very predictable and easily analyzed. But in small-shop configurations in the very low 2 to 5 hp range, feed rate can be quite temperamental and a slight variance can have serious consequences. It’s not too difficult to believe that most high-speed motors, including woodshop spindles under shear (sideways) stress, will soon be manufactured without any metal bearings and without any physical contact between the shaft and the housing. That’s essentially what’s happening already with many liquid-cooling applications. But even that low-level liquid friction can be eradicated with the new generation of aerostatic tool spindles that is envisioned by Levicron. The key to the technology is those highly compressed air or gas jets being fed through a cylinder that create a restoring force that moves even the least eccentric shaft back to center. The truer the concentricity (the less wobbly), the faster a spindle can rotate without friction or heat building up. Levicron already manufactures models capable of speeds up to 100,000 rpm. 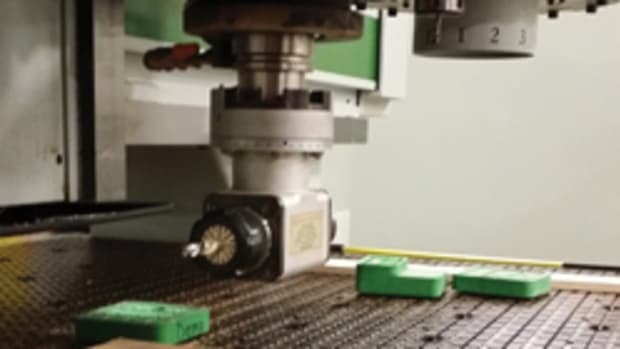 And while its aerostatic spindles are creating waves in CNC-based manufacturing processes that require extreme levels of accuracy (for example, camera lenses and optical components), it might be a while before they reach woodshops. For the average woodshop, investing in extremely accurate aerostatic spindles will probably not make much sense in terms of the budget. But production shop managers who make parts for high-tech components might want to check in occasionally on their progress. 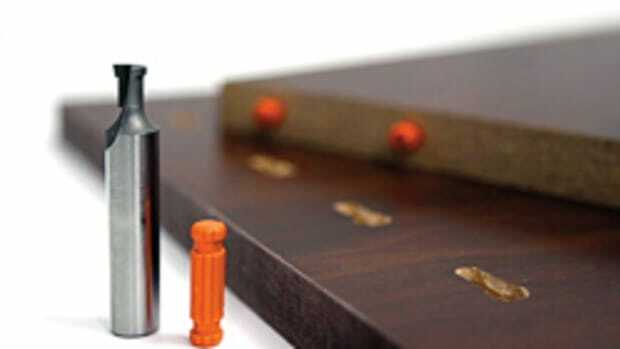 Without any friction whatsoever, these air-ride spindles could last for a long, long time.